The ACCA foyer is a nice place to meet and to sit and read. They also serve coffee. Yes you can take photos of the works, or you can take photos of people taking photos of people looking at the art. The light works were wonderful. ACCA has done well to have these on exhibition. Most works in the exhibition work well – but not all. Yep, she had her hand up to the work trying to figure out something. and afterwards, you stop by the Malt House next door for food and coffee. Well most of the time, at this time on Sunday they were closing. 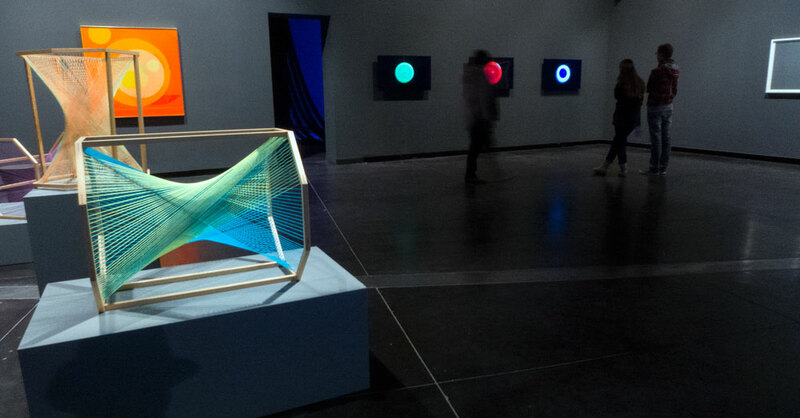 Optical Mix brings together a series of works that use light, kinetics and visual oscillations. Works that play on perception and visuality brought together in this international survey exhibition. 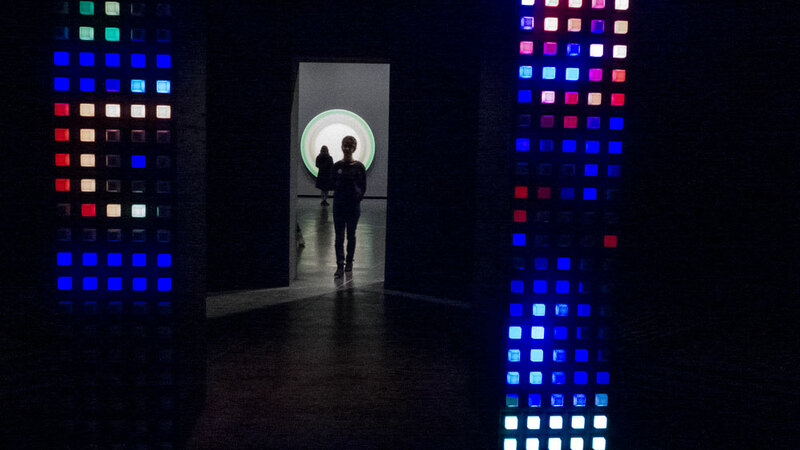 Optical Mix features works by Joseph Kosuth, Martin Creed, Callum Morton, Daniel von Sturmer, Ken Jacobs, Stanislaus Ostoja-Kotowski, Nike Savvas, Bridget Riley, Ugo Rondinone and Cake Industries.